Bom dia / Boa tarde / Boa noite a todos! Tudo bem? 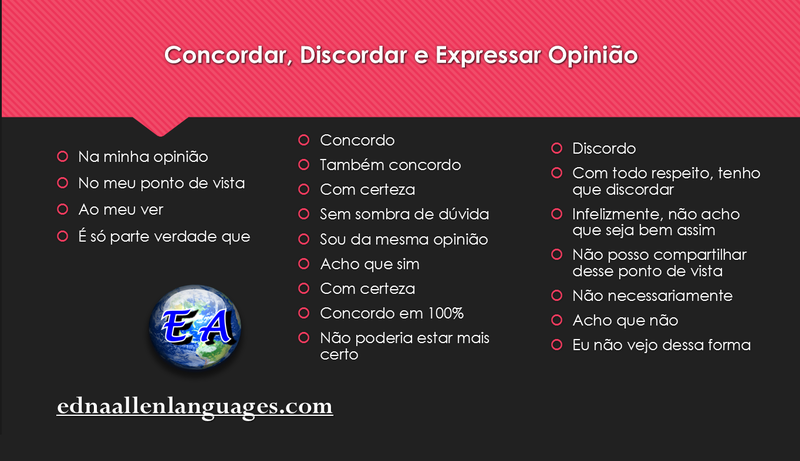 Today I prepared two images for you who wants to know how to express your opinion, agree and disagree in Portuguese. The first one will help you with the vocabulary and the second one is an exercise for you. I would love to know what you think about the subject. So, please leave your comment below.